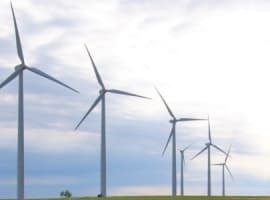 Last month, one of the largest and most significant electric utilities in the Midwest, American Electric Power (AEP), made a quiet announcement. We believe it portends more disruption for the U.S.'s electric power business. AEP, a virtual icon among U.S. coalfired power generators, has proposed building battery storage projects to improve reliability in its Texas distribution network. These batteries and associated distribution network improvements would be part of the utility's regulated rate base. Innocuous, right? Not if you’re in the competitive power generation business in Texas. Let's do a quick review. Electricity is a commodity. When any commodity becomes relatively scarce what happens? Prices rise. As a result, owners of power plants that are outside the jurisdiction of state and fed-eral regulators, who can raise their prices at will unlike their regulated brethren, stand to make a lot of money during periods of power scarcity for whatever reason. Unregulated power plants make far more money when grid reliability is a problem. Typically a large power generating station experiences operating problems and goes off line. Other power generators in the region with excess generating capacity are typically only too willing to fill the neighbor's sudden power deficit but only at a premium price. They get a premium price for stepping into the breach. But there's always something. If the distribution network can resolve their temporary power shortage problem at a cheaper price with storage batteries, that's bad for business if you're an unregulated power wholesaler. AEP argues that its storage projects only involve the distribution system. But that argument seems disingenuous. And it’s very similar to claims made years ago. Back then, regulators attempted to differentiate between proposed transmission projects for purely non-regulated, commercial purposes (to be paid for by shareholders) as opposed to those transmission projects that would primarily enhance reliability of the distribution network and thus be the obligation of the utility's ratepayers. The latter projects would receive adequate regulated recompense. The former transmission projects would have to subsist on whatever returns the regional wholesale power market offered. But there wasn't then and isn't now any clear bright line between non-regulated wholesale and regulated retail in the electric power business. 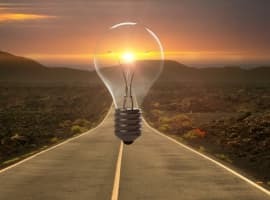 As if both types of projects weren’t connected to each other and part of an integrated network and the provision of wholesale power could be separated from the reliable provision of electricity to end users. (Only high voltage DC lines were separable from other regulated assets.) In the end, transmission builders were able to finance few projects and just about everything was built on a regulated basis. Non-regulated power providers realize AEP’s proposal is just the beginning. The idea of storage batteries for grid support is likely to spread. 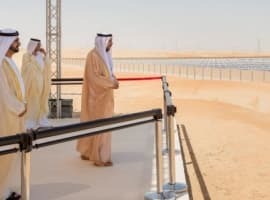 A power distribution system incorporating lots of batteries spread over the grid, all for ostensibly distribution purposes, will end up squeezing margins for wholesale electric power generators, especially those hoping for lucrative capacity contracts. This is one question regulators will soon have to consider: Are consumers better served by regulated, relatively local storage batteries or unregulated power supplied, often at great distances, by wholesale generators? This also raises the question whether the existence of a supposed “competitive” power market in electricity has any long term value — apart from the low prices it was supposed to produce. Years ago, economist and regulator Alfred E. Kahn — rightly considered the father of deregulation in the U.S. — wrote presciently that regulated and deregulated markets could not coexist for long. One of the two sides would inevitably triumph unless a “conjunction” of forces impeded the momentum. In a recent book, “Energy Acts,” we argued that the introduction of renewables may have halted the movement toward more vigorously competitive power generation markets. Government imposed renewables mandates, intentionally or not, have shrunk the portion of the wholesale power market available to conventional competitive generators. The widespread introduction of storage batteries integrated into the regulated distribution would reinforce the trend away from reliance on wholesale, competitive power generation. This would also reduce some of the price volatility that is the key to generators' profits. The worm may have turned. Whether state regulatory authorities in Texas approve of batteries to enhance the reliability of the local distribution grid or not, the idea will emerge elsewhere with the same negative economic implications for power wholesalers. They call the company American Electric Power for a reason.